| Massively underrated by critics. 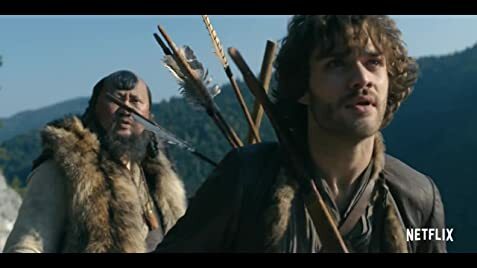 Marco Polo has most of the components of a great show: An intriguing plot, great cinematography combined with astounding and exotic settings, and complemented by above average choreography and costumes. I say most, only because of a few bland acting performances scattered scarcely across the show, mostly by the main actor playing Marco Polo. This however, did not affect my enjoyment of the show, since it excels in so many other respects. The show does a good job of not focusing solely on Marco Polo, but also on Kublai Khan, his empire, as well as a very strong antagonist. Marco Polo is being unjustly panned by critics. It is being unfairly compared to Game of Thrones, which has very little in common with it, which leads me to suspect that these critics haven't watched anything past the trailer. Even if it is not on the same level of Game of Thrones, it should not be completely dismissed, as is being done by critics. I say give Marco Polo a chance, regardless of what the critics say. Completely dismissing a show because it is not on par with one one of the greatest shows on TV, especially one that demonstrates this high level of film-making, is really unfair. To prepare for her role as Chabi, Joan Chen read the book The Secret History of the Mongol Queens by Jack Weatherford, as she wanted her performance to reflect the culture of the time period. There were no Rome Catholics among Mongolian Christians, only Eastern Christians (Nestorians).